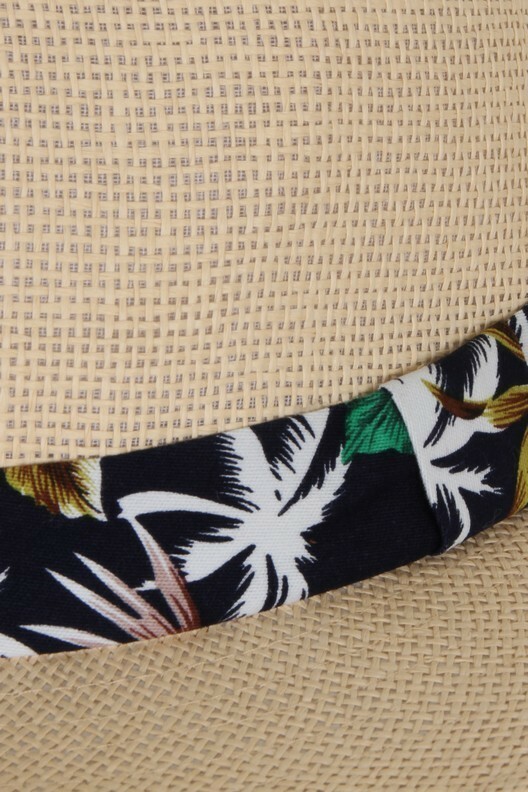 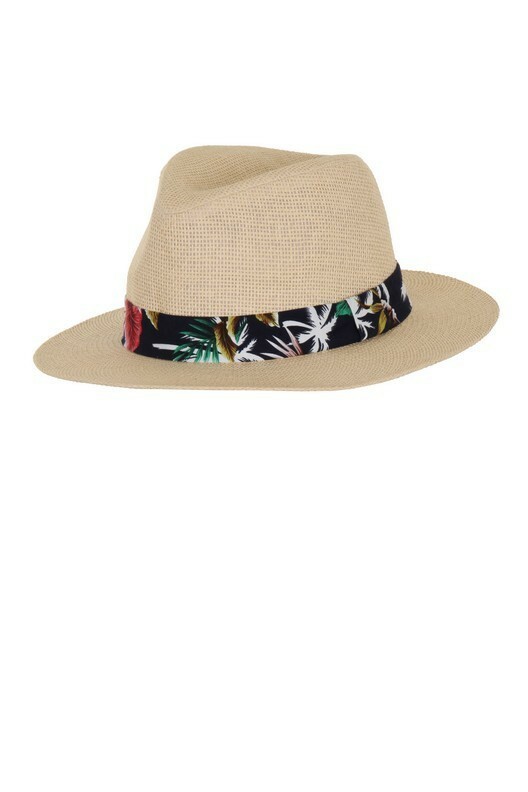 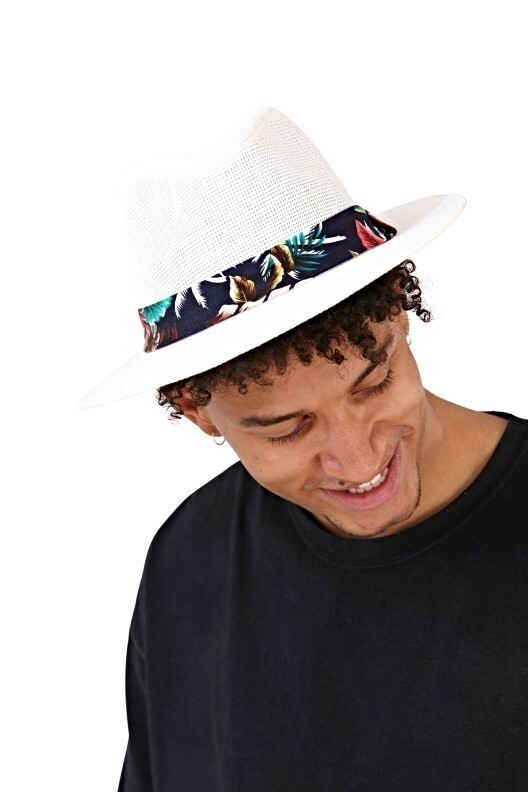 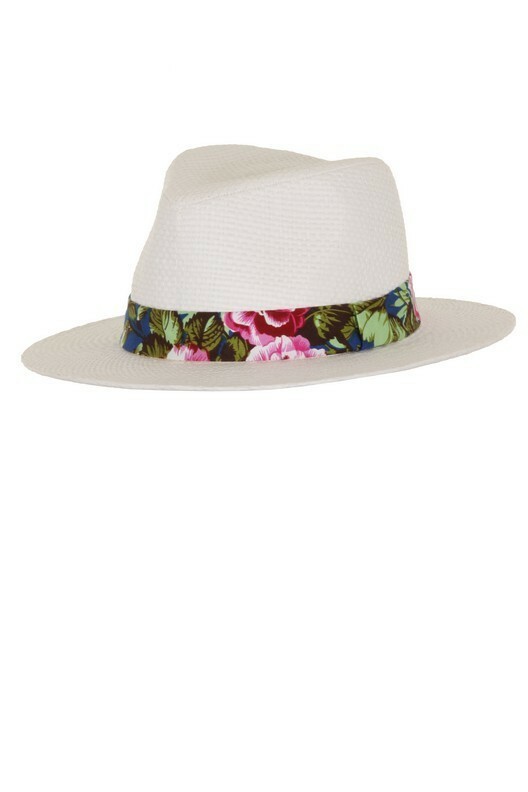 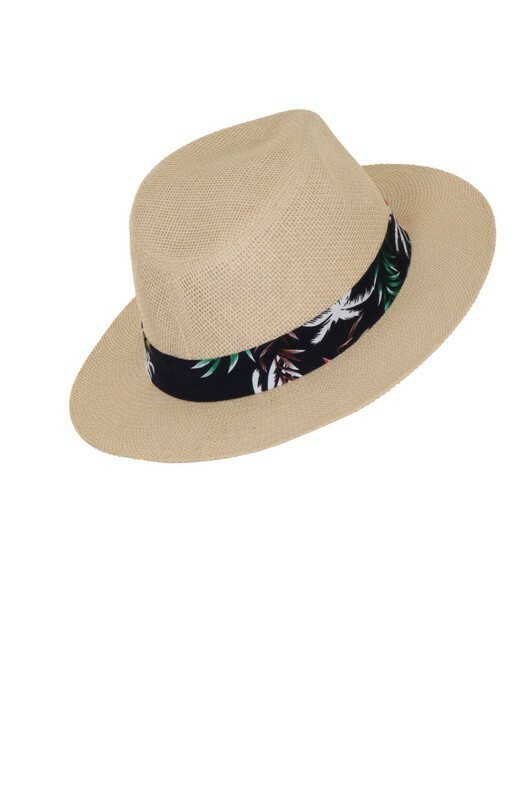 Mens floral band fedora hat. 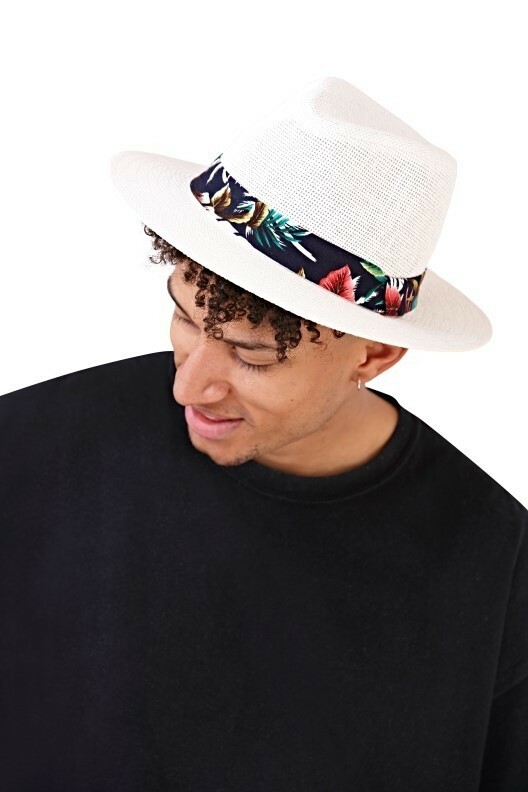 Mens floral band fedora hat. 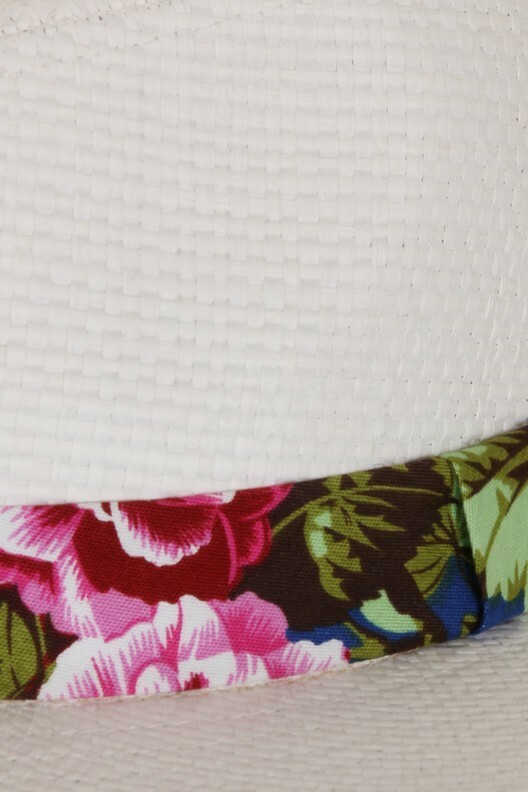 100% paper excluding trimmings wipe clean only. 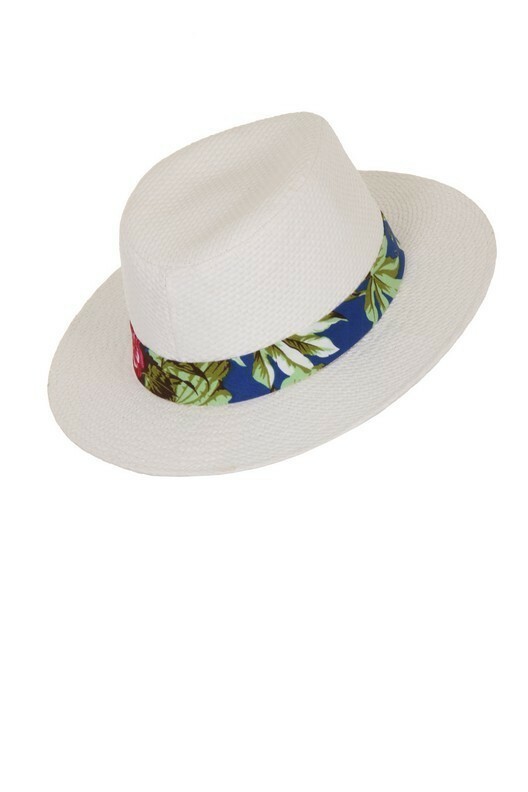 Comes in cream and in white in packs of 12.